Thinking about getting married outside? Love Arizona's desert landscape? Then get yourself to the Desert Botanical Gardens pronto! Seriously people, this place is awesome for weddings and parties! I mean who wouldn't want to tie the knot with a mountain as their backdrop? Hello gorgeous photos!! 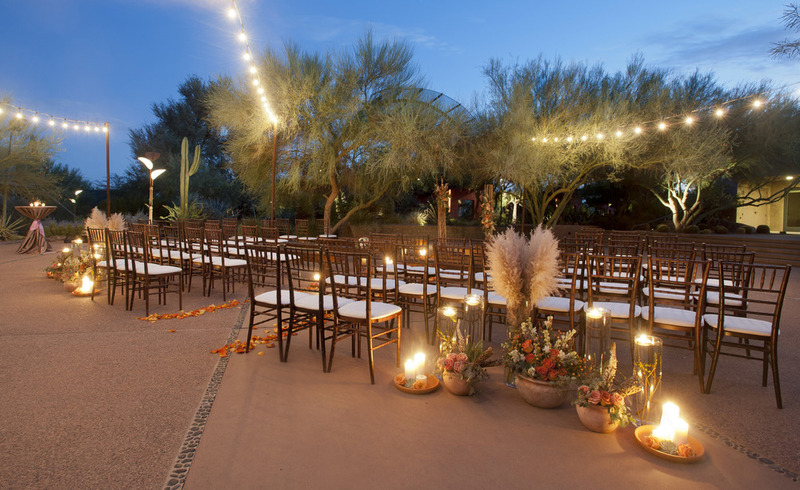 What a fun experience for your guests, especially those out-of-towners, to be celebrating surrounded by towering cacti and those Arizona sunsets we all love so much! There are multiple outdoor areas available for events throughout the gardens. Don't want to be outside the whole time? They have inside space available too. The event staff and coordinators are awesome and will help you to find the perfect spot for your desert festivities. So, what are you waiting for?! Go check it out! !